The list of theme songs for Juan Dela Cruz are now available nationwide. Here, you can see the theme songs and soundtracks, chords and lyrics of the theme songs by the different Filipino artists designed for the ABS-CBN's premiere Juan Dela Cruz. 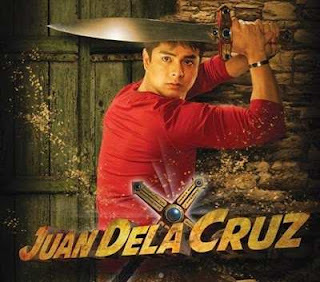 If you want to find all the lists available theme songs and sound tracks of Juan Dela Cruz, then this landing page is for you to know about those theme songs. Here's the list of available theme songs and sound track from Juan Dela Cruz, you can download this song via mp3 from the other downloading sites. These are the theme songs of Juan Dela Cruz, why there are so many theme songs for Juan Dela Cruz? It's because the episode combines the love, war, peace, determination, and many other aspects that you will be able to see in every scene of Juan Dela Cruz. That's why we have "Maging Sino Ka Man" which is translated to whoever you maybe. Then we have "Sa Isang Sulyap mo" which is translated to In your one look. Then we have "Alab ng Puso" which is translated to Flame of Heart. And the last, we have "Pusong Bato" translated to Heart of Stone. If ever you want every lyrics (and chords maybe) for the theme song of Juan Dela Cruz, then I can give you the lyrics of every Juan De La Cruz theme song. sa isang sulyap mo, napa-ibig ako. So currently, we have 4 theme songs of Juan Dela Cruz and maybe there will be incoming new sound track and theme song for Juan and we will keep updating these theme songs whenever there is new update of the theme song. So, just for now, these are the current theme song and if you wan to suggest for improvements, you can do comments below.